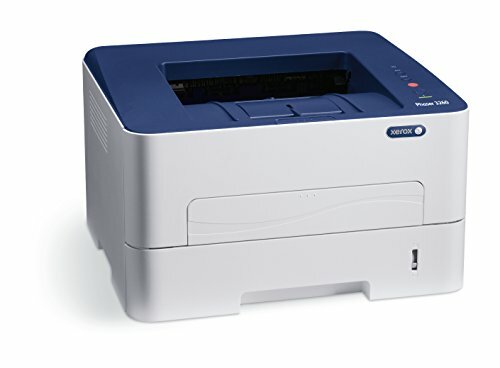 Xerox Phase 3260DI Mono Laser Printer (29 ppm) (600 MHz) (256 MB) (8.5" x 14") (4800 x 600 dpi) (Max Duty Cycle 30 000 Pages) (Duplex) (USB) (Wireless) (Energy Star) (250 Sheet Input Tray). The Phase 3260 is a compact yet powerful monochrome laser printer designed to support either a single user or a small work team. The Phase 3260 printer features fast automatic two-sided printing with crisp clear text and graphics. Xerox Phase 3260DI Mono Laser Printer (29 ppm) (600 MHz) (256 MB) (8.5" x 14") (4800 x 600 dpi) (Max Duty Cycle 30 000 Pages) (Duplex) (USB) (Wireless) (Energy Star) (250 Sheet Input Tray). Mono Laser.